I love date night. The problem is, couples all over the world go on date night far to infrequently. My last date night was totally impromptu. My wife and I saw about a two hour window and we jumped at the opportunity. We were riding in the car trying to decide where we would spend our date night. Usually she picks. If you want her to be happy, either you let her pick or you pick one of her favorites(note to the newly dating). This time however, I picked the location. She actually was excited to go to one of my old college hangouts. Honestly, our date took us to a place where I have always received below average service. When I was in college all I cared about was cheap food. Customer service was definitely not #1 on my list of how to make dinner decisions. That being said, this American grill has awesome wings and great salads. I’ve been frequenting this place for 15+ years. So we get in and seated fairly quickly. The really cool thing is that we actually got seated by a hostess. Back in the day you would have to brave the crowd on your own. Finding some group of people that maybe had two extra seats and were so kind as to let you share the table. So being seated by the hostess was very convenient and hassle free. We ordered very quickly and got our food even quicker. The food was delicious! Our waitress came by regularly to check on us even. This date night is going very well until………… A LIVE SPIDER! In my celery. Unbelievable! As you could imagine, I was surprised to say the least. Not to mention, I was more than halfway done eating the celery. I love celery. 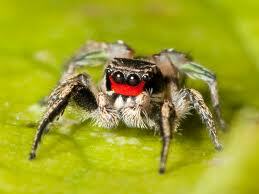 So I, very calmly, told my wife while I corralled the spider in the bowl. She immediately got the attention of our waitress. When she got over to the table I handed the bowl to her and explained there was a live spider in my bowl. She really didn’t seem shocked or disgusted, which I thought was kind of strange. She killed the spider (I could have done that); however, I wanted her to verify it was ALIVE! Her first response was “Did you want me to replace the celery?” That is a funny question to ask when a live spider walks out from under your food on your plate. I told her that would not be necessary. She apologized for the inconvenience and left the table. Spider in my celery (not actual spider). My waitress saved me from getting bitten. You would think that a manager would be notified of the situation and would then at least visit the table and give a formal apology. If I managed a restaurant, I would want to know if something like this happened. However, a manager never came to the table. Our waitress came back with some fresh celery and assured me that she washed it herself. I thanked her. Knowing that the unexpected guest was not at all her fault, we left her a 15% tip for her service. Now you tell me, should I have made a stink about the whole thing or did I handle it well? I thought that I was very patient and handled it very well. I just wish that employees were empowered to make the right decisions on their own; and if not, people in the service industry in general should want to ensure that issues are reported to management. I don’t even know if a manager was made aware. Maybe they were and just didn’t care. I can’t believe that I just wrote that. I have patronized this restuarant for years and will probably still give them my business. Should I? I recently had a weekend full of exceptional customer experiences. The funny thing is, I was going about my mundane daily errands and was exposed to some extremely amazing experiences. My wife and I had the pleasure of shopping together for the weekends meals. I know what you’re thinking, the pleasure of shopping for the weekends meals, where’s the pleasure come from; keep in mind that we have five beautiful children and don’t get much opportunity to do anything alone. Anyway back to my story. We were both starving because it was after lunch and neither of us had anything to eat since breakfast. Here is a little note to the reader. Never, ever, ever go shopping for groceries on an empty stomach. You will end up buying 10 gallons of cookies and cream ice cream and swear it is a necessity. So my wife suggested that we go over to the deli first and share a small snack before starting to shop. When we get over there, there is no one to help us. Remember, we are both starving and short on patience. Within a minute I was asking her if we should flag someone down. We didn’t. We probably waited another 30 seconds before we were helped. The young man appeared from the back like a ghost. Surprise! The young man at the deli greeted us with a smile. Some people can be very indecisive when they are hungry. That’s us. He offered us a sample of some of the food. He gave us a piece of food and my wife said thanks we can share. He then proceeded to say no problem you can both have your own sample. I laughed and said I’m a grown man not a baby boy. He agreed and thought if we were sharing I would need a sample. He also suggested some other items that would compliment our choice. In the end we were looking for a snack but from his amazing customer service he sold us on a meal and we ended up getting Ice Cream! I was blown away. This young man was probably less than 25 and treated us with respect and up-sold us like crazy. This grocery store is a large regional chain in the mid-west and I have been shopping here for 20+ years. I have never experienced such great salesmanship in any of the chains stores. This young man should be commended by his superiors. I was totally caught off guard by this experience. After the deli greatness, my wife and I stopped by our local thrift store to drop off some of our gently used items for donation. We pulled up and I got out of the car to open the trunk and pull out the donations. One of the employees came out with a smile and said “Hello sir, how are you today?” I answered fine and proceeded to get the donations out. By this time another employee came out. He was also smiling and asked “How are you sir?” At this point I’m thinking two things: 1. These guys are being very polite. and 2. Do I look old? Keep in mind, we donate here all the time and I think this is the first time anyone called me sir. We made some small talk while finishing the transaction. The second gentleman gave me a receipt and thanked me for his employment. WOW! I never thought by donating my unused clothing and furniture that I was helping create employment for someone. I then thanked him for opening my eyes and that his enthusiasm would be the reason I would only donate with them in the future. 20 years ago who would have thought you could make money selling air. This is the one I will never forget. I was on my way to meet someone and remembered that my wife said that my tire was low and needed air. 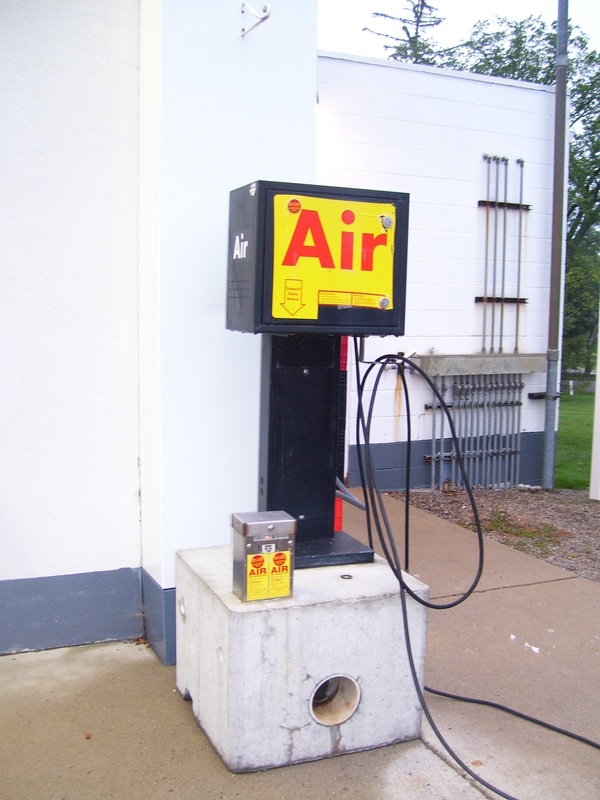 If you don’t already know, there is almost nowhere you can get air for your tire without paying. So I stop at one of my local filling stations to get some vended air. Problem: I don’t have any cash. These vending machines only take quarters. So I figured I would buy a bottled water and get some cash back from my debit card. Problem compounded: This station doesn’t give cash back. I was totally ready to leave and go to the ATM or chance it and go home. The manager on duty Blair Sobeleskey overheard the dilemma and went into her own pocket and gave me four quarters. Unbelievable! This woman who only knows me as a regular customer, went to an unbelievable extent to take care of me. She said she would feel bad if she heard that because of my nearly flat tire I was involved in an accident and got hurt. Just goes to show. There are people out there who care about others because it is the right thing to do. Many thanks to Blair Sobeleskey. You are appreciated. If I misspelled your name I apologize. Last weekend I had the pleasure of spending some time in one of the best cities in the world. CHICAGO! My Mother, Stepfather, and Sister lived in a suburb of Chicago for years and I have spent plenty of time there. Also my sister did her undergrad at Northwestern. Too bad for her. I went to Michigan State University. Home of the mighty Spartans. I should stay on the subject. The Taste of Chicago gives the public a chance to sample foods made by some of the many great restaurants in the greater Chicago area. 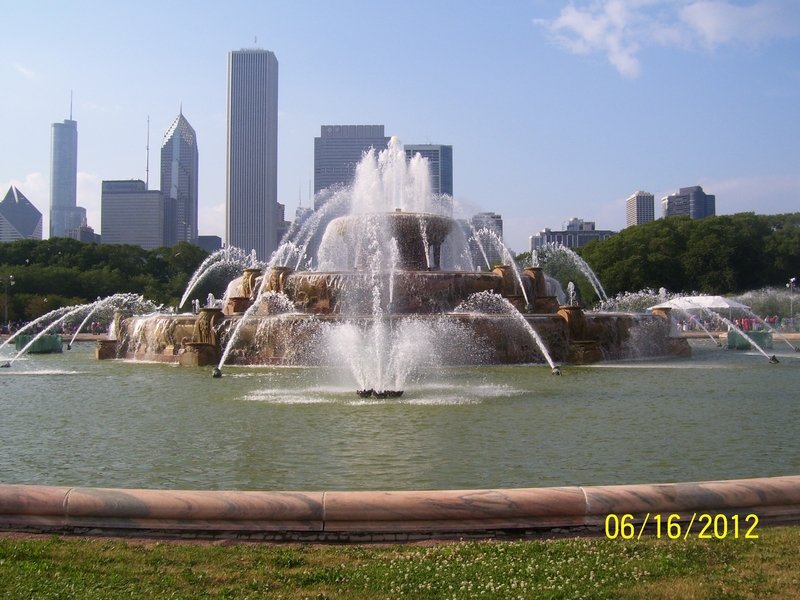 For those of you which are unfamiliar with Chicago, one of the reasons people love the city is because of the plethora of amazing eateries that are exclusive to the city. Now keep in mind, I love to eat. Whenever I spend time in Chicago, I come home at least 10lbs heavier. This trip was no different. During my time in Chicago I had many encounters as a customer. During my next few blogs I will cover my trip in detail. I will focus one post on my hotel accommodations. This one is a total surprise to me and may surprise you because I will break one of the first rules I have imposed on myself as it pertains to my blogging. When I sat down and decided to blog about customer service, I agreed to never mention the companies I was blogging about. Have to break that rule. Also, I will tell you about the restaurants I had the pleasure of visiting. And here is a shocker, the four star restaurant had the worst service and the one star had the best service. There were also a few in between. Loads of great stories that I braved through so you wouldn’t have to. STAY TUNED. Today I was headed over to my closest cafe to get my regular favorite drink. I happened to get behind a memorial processional. People were speeding past the processional and cutting them off. This experience took me back in time. Let me explain. Two years ago my wife lost both her maternal and paternal grandmother in less than a month time span. They both lived in the same city in Mississippi. Now when we spend time down there, I always noticed that people were very nice and always said hello. They took the time to “smell the roses” if you will. My wife’s maternal grandmother was very well-known in the community. Along with that, she had 10 children. To give her a proper memorial, the City had policeman all along the route to the memorial. Also, they were able to secure one of the larger churches in the City. The memorial was beautiful. Countless people had many warm memories of Miss Nancy. I only had the pleasure of spending time with Miss Nancy on two occasions. This is going to sound horrible but I am going to tell you because I am more often than not, a transparent person. Both times I spent with Miss Nancy were times when other family members had passed and we went to Mississippi for their memorial service. Most recently, Grandma Smith had passed a month before Miss Nancy. The time we spent was wonderful and warm. We didn’t have a whole lot of history but she treated me like one of her own grandchildren. I will forever feel grateful that I had the opportunity to spend time with Miss Nancy in her final days. The main thing is that she was very happy, and never really had any regrets. Now here is the main point of my story. As the processional was leaving the church I was really astounded and touched at what I saw. Traffic everywhere stopped. Now keep in mind this was a long processional. 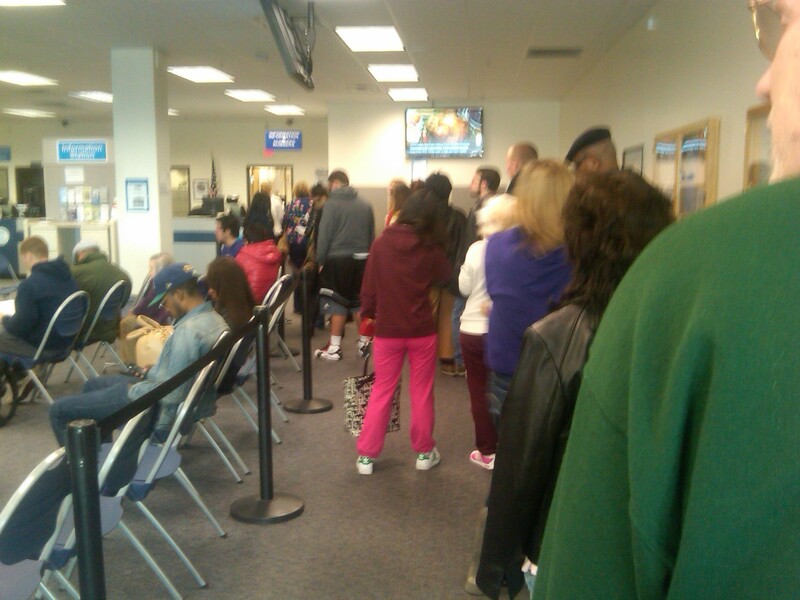 These people waiting were going to be waiting for a considerably long time. One man In particular was on his daily jog. Traffic was stopped all over the place so as a jogger he had Card Blanche. He could have continued his jog without interruption; however, he stopped his jog, removed his hat, stood still on the side of the road with his hat in his right hand covering his heart. I was totally blown away. In all my years I had never seen anything like that. I had heard of it happening but never saw it in action. This was done out of respect of, by all accounts, a total stranger. The people who were inconvenienced by this processional stopped and gave respect to the memorial of the deceased. The reason is because it was the right thing to do. Here is the really crazy thing. I really was touched today by Miss Nancy’s memorial again today. Where is the connection? When I sat down to write this there was no connection. I just wanted to blog about my experience today; however, about the third paragraph the connection emerged. During the memorial, total strangers showed respect to someone they may have never met because it was the right thing to do. Every time a new customer emerges, you have the opportunity to show them respect and give them personal service. The whole idea of making a great customer experience is to create a relationship with the customer that will last many years. Don’t just rush through your pitch like you being made to wait is an inconvenience. Take the time to make the experience about them. At the end of the day it is about the customer’s experience and not the rest of your day.